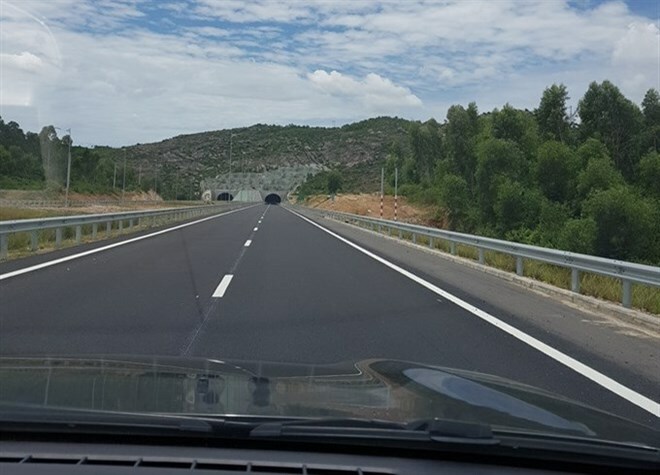 Quang Nam (VNA) – The first 65km road section of the 140km Da Nang – Quang Ngai Expressway in central Vietnam opened to traffic on August 2. Running from Da Nang city’s Tuy Loan district to Quang Nam province’s Tam Ky city, the four-lane section with two emergency lanes allows vehicles to travel at 120km per hour, reducing travel time between the two localities. It includes a two-way mountain tunnel and 59 bridges. The Da Nang – Quang Ngai expressway project is part of the national plan to develop networks of expressways by 2020 with a vision to 2030. The link, running through Da Nang city, Quang Nam and Quang Ngai provinces, will connect industrial parks in the region and help boost transportation in the East-West Economic Corridor that links Thailand, Myanmar, Laos and Viet Nam.